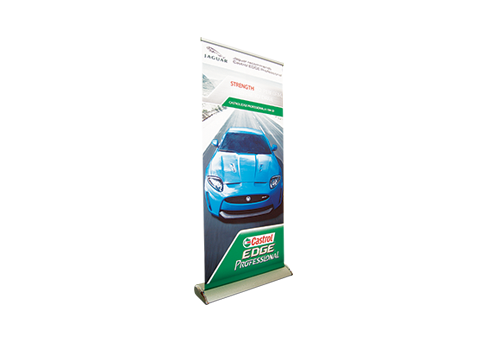 The Lux Pull Up banner system is designed around a modular aluminum frame for easy and effortless setup and storage. The artwork is printed on a light durable fabric and can be replaced when needed. The entire unit rolls up flat for easy storage and comes with nifty carry bag.